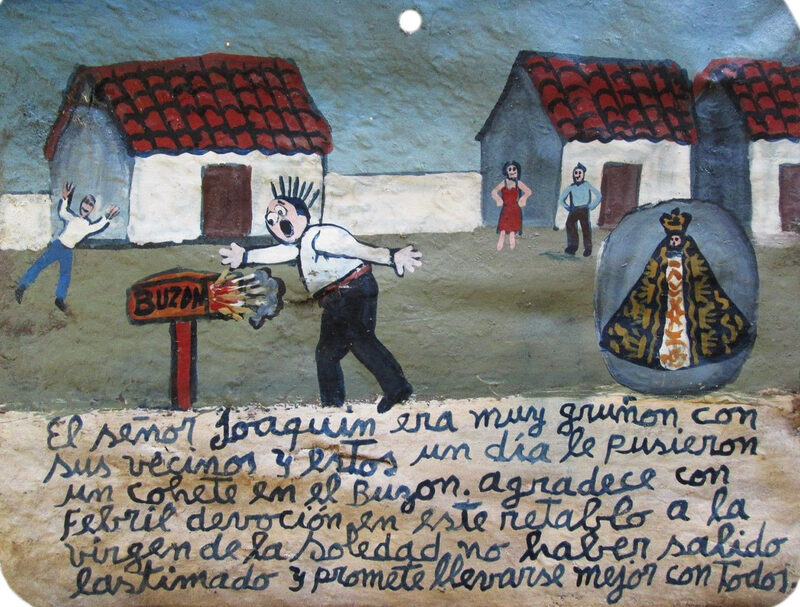 Mr. Joaquin was very rude to his neighbors, One day they put a rocket in his postbox. 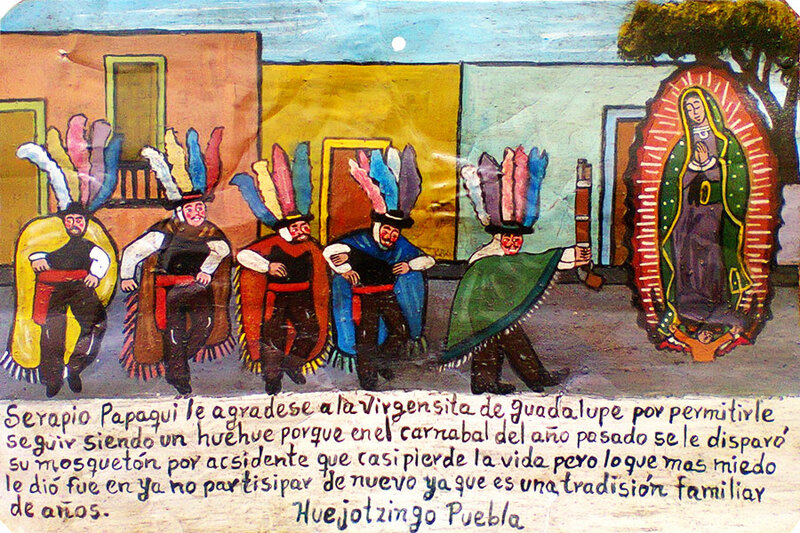 He thanks the Virgin of the Solitude with this retablo for he didn’t get injured and promises to be more polite with everyone. I give you my thanks, Virgin of the Solitude. Thanks to your mercy I was saved. I fell while surfing. 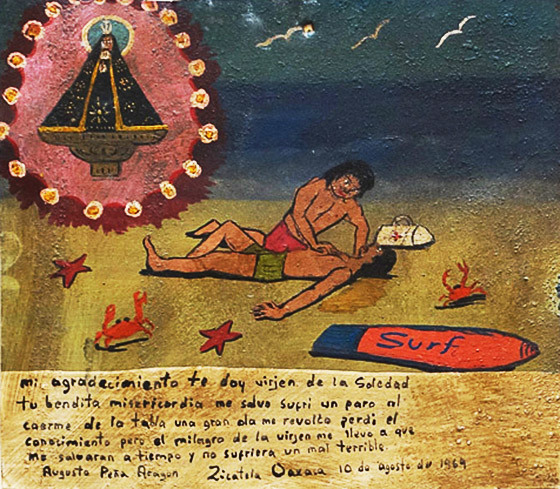 I was covered by the big wave and lost my conscious. 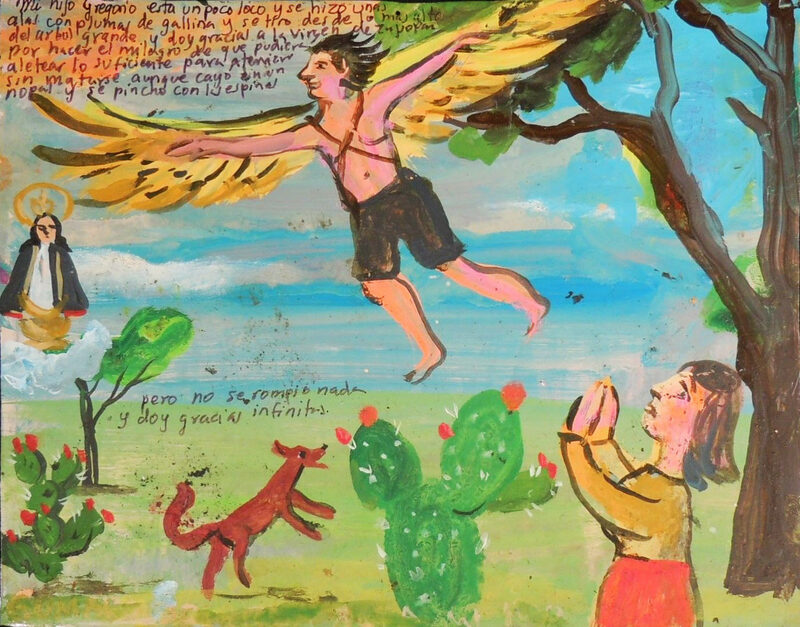 But thanks to the Virgin’s miracle I was saved in time and I avoided terrible consequences. 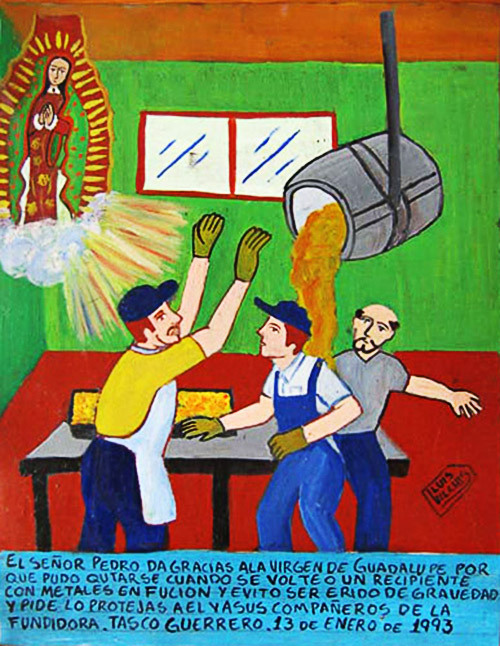 Sr. Pedro thanks the Virgin of Guadalupe because he stepped away in time when a pot with liquid metal flipped over. 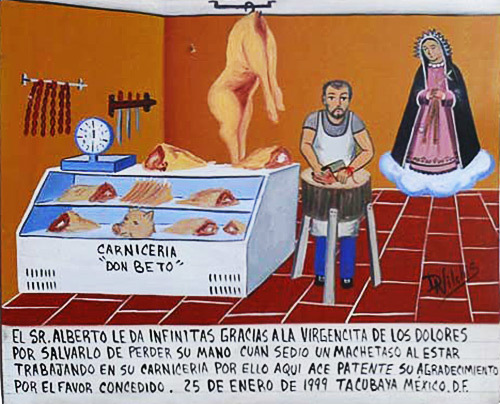 He asked the Virgin to protect him and his coworkers from the factory. 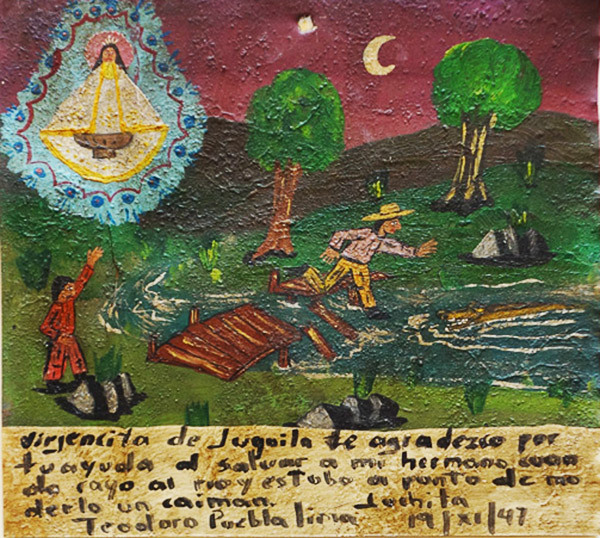 Virgin of Juquila, thank you for your help, for saving my brother when he fell into a river and was almost bitten by a caiman. 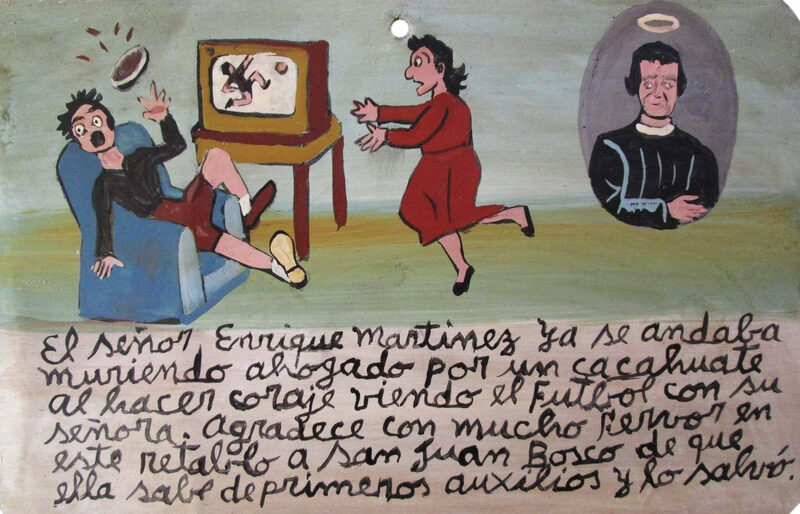 Enrique Martinez was watching soccer with his lady. He was going mad and almost died chocking on a peanut. 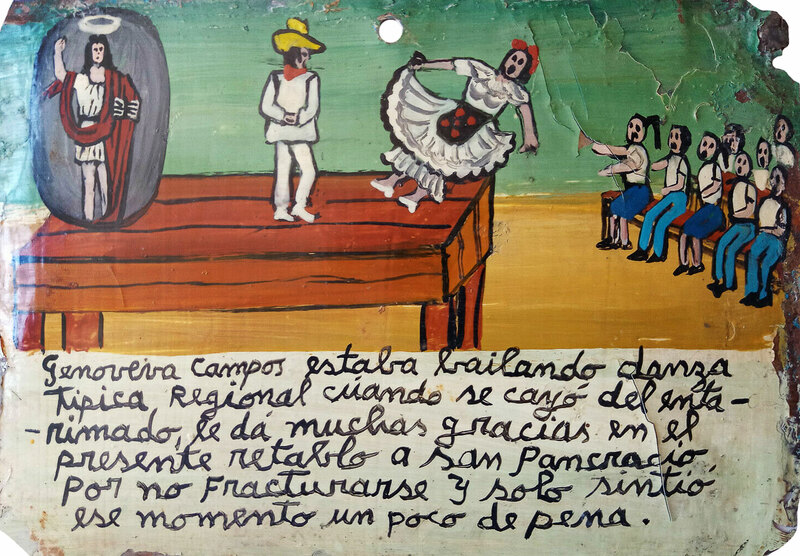 He thanks Saint Juan Bosch with this retablo because his wife knew about first aid and saved him. 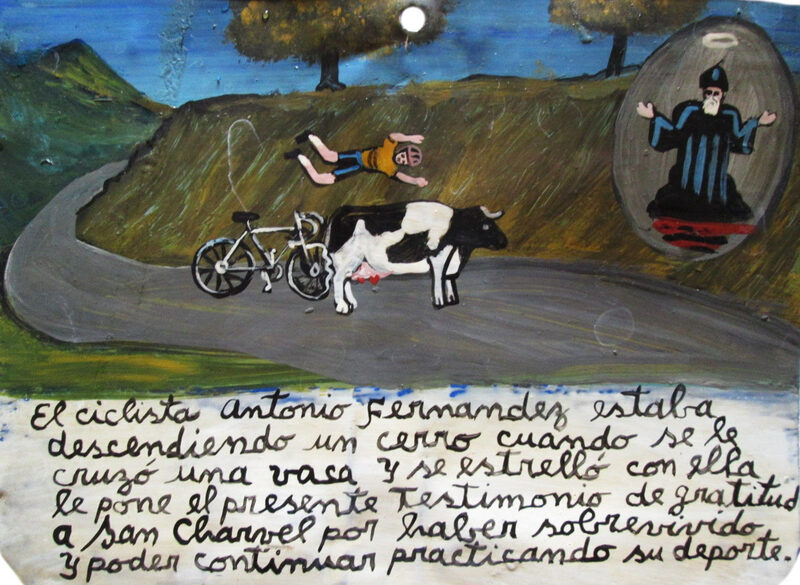 The bicyclist Antonio Fernandez was going down the hill. 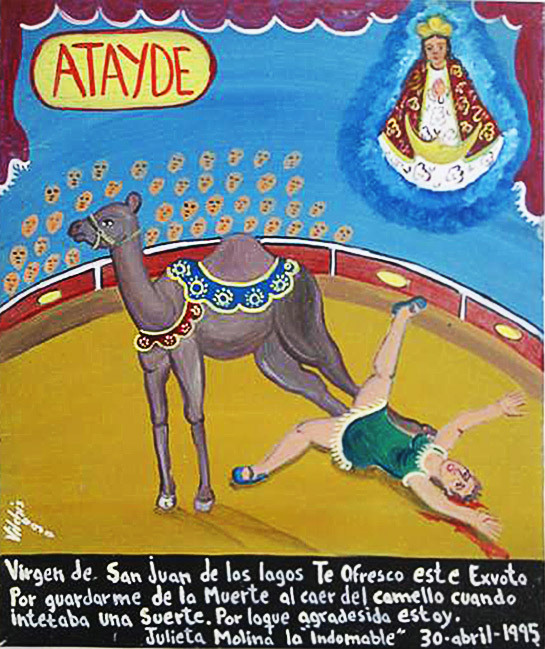 A cow crossed his path, and he crashed into her. 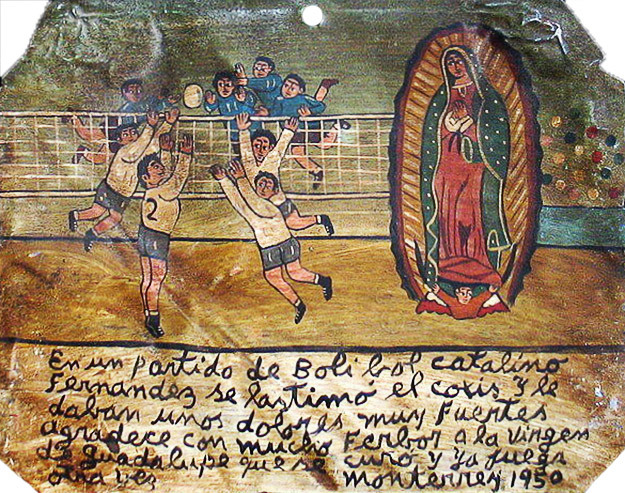 He brings this retablo to Saint Charbel thinking him for surviving the accident and being able to keep practicing his sport. We were chatting and forgot that we left a pot with mole on the stove. We were cooking it to sale. Then we went to the market for turkey, and when we were back, we saw that the pan had been completely on fire and almost burnt our kitchen. 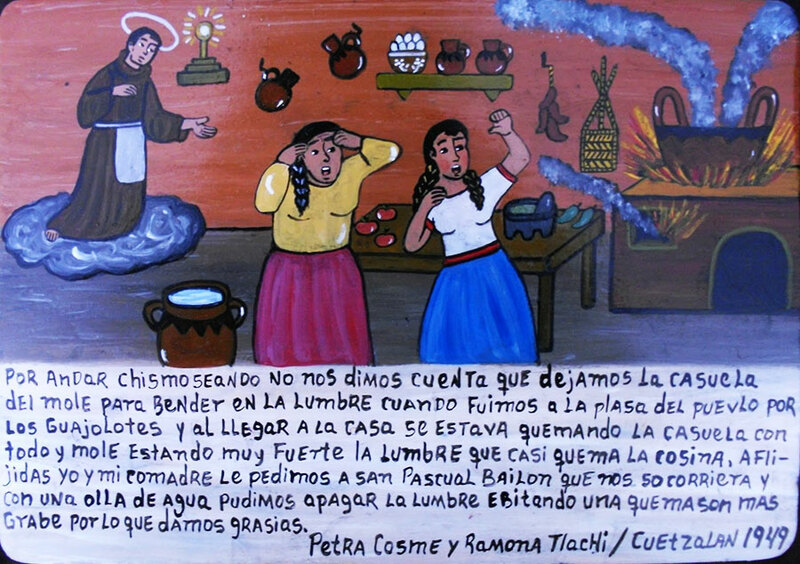 My friend and I desperately prayed Saint Paschal for help and began to extinguish the fire with the pot with water. We managed to do so avoiding big fire, and we thank the saint.